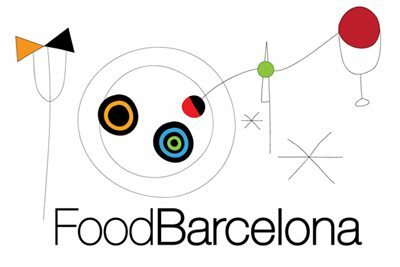 I am not electronically tagged; nor am I under court orders to patronise only “bistronomic” restaurants in the Eixample as part of some bizarre, 5-star community service initiative. It’s just the way things are working out recently. This time my excuse was the visit to Barcelona of Jonnie — writer of the excellent food blog Out Of The Frying Pan — and Miya, his charming girlfriend. I never need much encouragement to go to Embat (C/Mallorca, 304, (+34) 93 458 08 55, www.restaurantembat.es). This tiny place is owned and run by chefs Fidel Puig and Santi Rebés while Cristina Torras ably handles front of house. They are all ex-alumni of Espai Sucre (www.espaisucre.com), Barcelona’s leading dessert school/restaurant, where they met. Their collective CVs contain the usual big name, starred restaurants but also some top quality, family owned, traditional eateries. This may be what sets them apart from some of their wannabe competitors: Embat almost always manages to strike a perfect balance between modern technique and presentation and the robust, hearty, deep flavours of traditional cuina catalana. There’s no set menu at lunchtime, just a limited choice of courses, with starters around €8, mains around €10 and desserts €4. Wine by the glass is in the region of €3 bringing the average bill to about €25 which represents a bargain given the quality and consistency of what’s served here. I’m not going to give a full review or breakdown here. Suffice to say that it was as good as it looked and with the exception of some fractionally undercooked ravioli, executed flawlessly. First up we chose the ravioli of curd cheese and spinach with truffle and parmesan. And a coca (pastry) of vegetables with local blood sausage, brie and ceps. Jonnie then chose the rice with oxtail and truffle. If he hadn’t, I’d have chosen it myself without a doubt. For the sake of variety I chose something different. I didn’t feel too bad about missing out, though; my turbot with trinxat de col i patata amb panxeta ibèrica (a sort of Catalan bubble-and-squeak with pancetta from an iberico pig) capers and tomatoes was sensational. Miya’s duck with quinoa, stir-fried vegetables and cheese sounded like an unlikely combination but it seemed to be well received. Desserts here rarely disappoint. Today was no exception: first up was Jonnie’s vanilla panna cotta with yoghurt ice cream and fruit soup. Miya went for the chocolate brownie with chocolate cream and ice cream. And I finished with coconut mousse with a coffee biscuit and basil ice with apple. Refreshing, well-balanced and delicious. Good company, good food, great value. I hope Jonnie and Miya come back to Barcelona; I know I’ll come back to Embat. How lovely! It’s now definitely on my list of places to try when I’m in BCN next. Have you ever been for dinner? And if so, are the dishes still good value as they obviously are for lunch? The evening a la carte runs to an average of about €40 and they have a tasting menu for about that price too, excluding drinks. Still very good value.